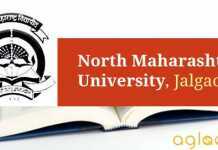 NMU Result 2019 will be released by North Maharashtra University in the online mode. 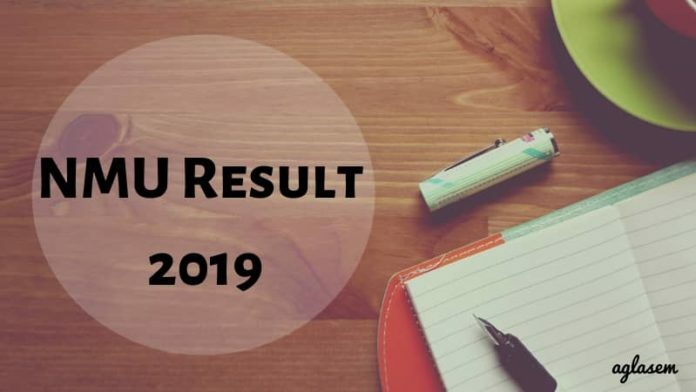 The conducting body will declare the UGCET 2019 result, PGCET 2019 Result, PET 2019 Result, MA MCJ 2019 Result on the University website, www.nmu.ac.in. The direct link to check the NMU Result 2019 will also be provided on this page. Candidates must keep their login details ready to check the result. It is not necessary that result will be released over the login portal only. The result can also be released in a PDF format. The details related to NMU Result 2019 will be updated on this page as soon as the latest information Brochure is released. Till the time candidates can check this page to know all the details regarding NMU Result 2019. Candidates will be able to check their result by clicking on the direct link provided on this page. Qualified candidates will be called for the further round of admission. Aspirants will be able to check the result either through their login credentials or through a PDF. For the time being, candidates can check the tentative dates of the NMU Result 2019 from the below table. Result: The NMU 2019 Result will be available at nmu.ac.in. It is not yet confirmed that the, whether the result for the entrance test will be released in a PDF fornat or candidates will have to use their login details to check the result. As soon as the latest notification is released, we will update the same on this page. To avoid the confusion for the candidates who will be appearing for the entrance examination, the steps to check the result from both formats will be given on this page. Candidates can refer to the information given below. Look for the appropriate link of the result. Then, enter your login credentials as required. Candidates should retain a hard copy of the same for the future reference. Visit the official website or click on the direct link of the result. Now, click on the appropriate link of the result. The result will appear on the page in a PDF format. Press Ctrl+F and enter your name or roll no. and the result will get highlighted on the page. Upon the basis of marks obtained by the candidates, students will be called for the process of admission. Like in some courses candidates will be called for PI or Group Discussion and in other courses, the conducting body will hold a counseling round. The merit list will be prepared for the eligible candidates. After the result declaration, candidates should report at the allotted date, time and venue for the further admission process. The North Maharashtra University was established in 1990. It offers various UG, PG and Ph.D. level courses. The University has been graded ‘A’ by NAAC. To take admission in various courses in the field of Arts and Fine Arts, Commerce and Management, Science, Engineering and Technology, Pharmacy, Law, Education, and Mental, Moral and Social Sciences candidates will have to undergo the entrance exam conducted by the NMU. The University has also signed MoU’s with national/international organizations as well as with Maharashtra Knowledge Corporation Ltd. to take a step forward with a digital University. Selection of the candidates will be done on the basis of merit in the entrance test followed by the further round of counseling. Admission to the candidates is subjected to the eligibility conditions and verification of the documents.